The "Fight of the Century" is drawing mixed reactions among boxing fans, but it did not disappoint for local business owners. FRESNO, Calif. (KFSN) -- The "Fight of the Century" is drawing mixed reactions among boxing fans, but it did not disappoint for local business owners. From a young age, you learn in this family that Manny Pacquiao is a household name. "We feel like he's just one of us," said Cherry Alacar. Pacquiao hails from the Philippines just like Alacar and her family. So this fight is more than just a reason to get together; it's the event of the year. "He has that story of rags to riches basically, and just his story has motivated a lot of Filipinos, and so we just hope he comes out victorious tonight," said Alacar. Since 4 a.m. Saturday, Alacar's family started preparing a traditional spread for more than 50 friends and family members. 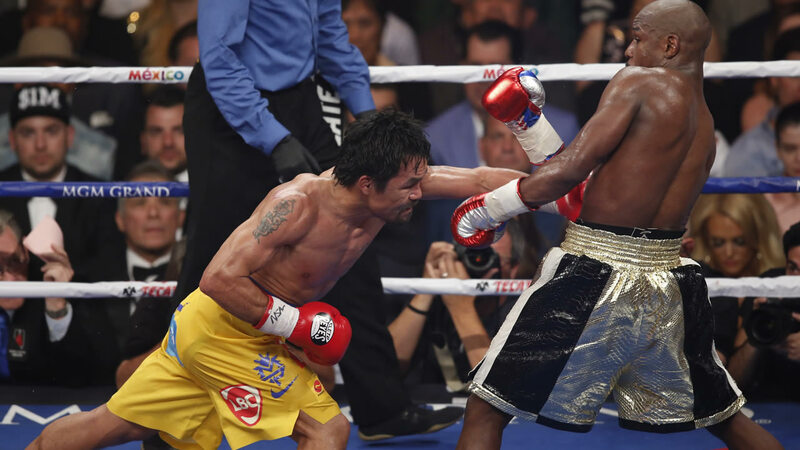 One of the most hyped fights in boxing history took place at the MGM Grand in Las Vegas on Saturday. You think that's crazy? Across town at Club One, the kitchen has been preparing for two months. "I think we put in about eight new TVs, we put in a brand-new menu just for this night to help the kitchen work faster, to get the food out to the customers quicker," said Club One Casino food and beverage director Erin Cathcart. And no wonder. Every room in the casino was packed to capacity. "Tonight, I think every screen except one has the Pacquiao fight on," said Club One Casino owner Kyle Kirkland. Twelve rounds and a unanimous vote later, Garcia is happy to be in Mayweather's corner.